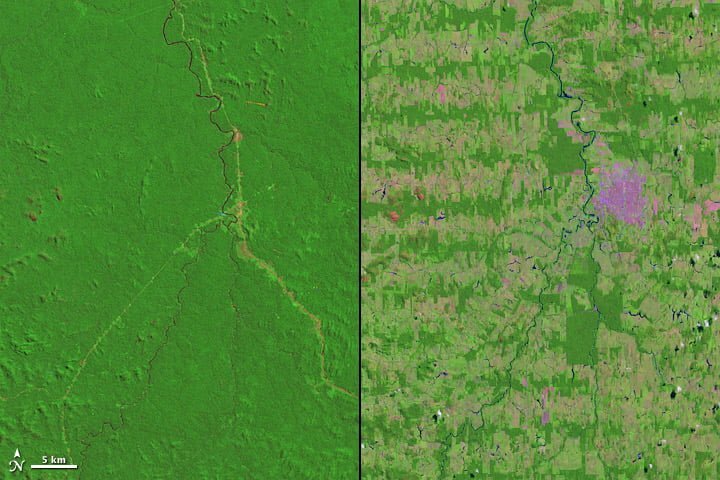 Deforestation in Rondônia, Brazil, 1975 v 2012. NASA images courtesy Landsat team. Planetary health is defined as “the health of human civilisation and the state of the natural systems on which it depends,” and the news is not good. Recent contributions to our knowledge on this topic include ongoing mass extinctions, the perilous state of the world’s coral reefs and oceans, and catastrophic health outcomes from climate change. And that’s just this week. Yet it can be difficult to galvanise political will to address this global crisis. At the recent G20 summit, 19 of the 20 countries represented reaffirmed their commitment to greenhouse gas mitigation through the Paris Agreement, with the US pulling out of its proposed contribution. 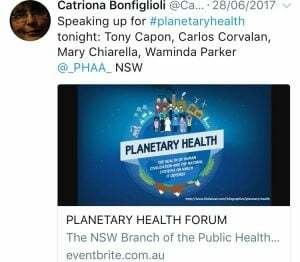 In the post below, health researcher, journalist and academic, Dr Catriona Bonfiglioli, reports for Croakey on a recent forum that underscores why we can and must act urgently to repair planetary health. People – most of whom are not from countries that have contributed significantly to environmental degradation –are already paying the price in poor health and lost years of life. And in other news today, it’s not as hard as you might think to pinpoint the most important global sources of carbon emissions. A report in The Guardian, based on the The 2017 Carbon Majors Database, Carbon Majors Report says that 70% of the world’s greenhouse gas emissions since 1988, have been produced by just 100 companies. The report comes with a list, which is well worth perusing. 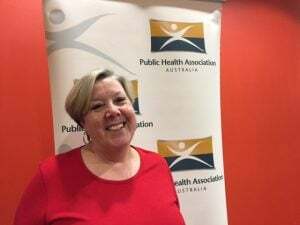 Vulnerable people across the globe are bearing the brunt of death and disease attributable to climate change, a Public Health Association Australia seminar has heard. 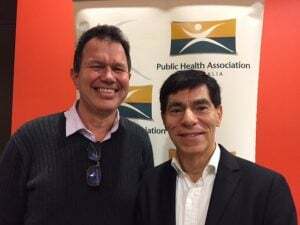 Almost one quarter of all the burden of disease is related to environmental factors, Dr Carlos Corvalan told the PHAA NSW branch’s recent seminar on planetary health. 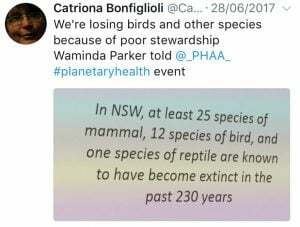 Deaths attributable to climate change are predicted to rise to 250,000 per year by 2030 and these deaths are unnecessary, Dr Corvalan, deputy director of the Environmental Health Branch, NSW Health, said. “Nobody should be dying from climate change,” the Adjunct Professor at the University of Canberra told the seminar on June 28 at the University of Sydney. Poor people, indigenous people, and subsistence farmers are going to suffer the most, he said, noting the persistent and striking divides in life expectancy between the world’s most and least healthy nations. Women in Japan have 32 years longer life expectancy than women in Sierra Leone. The gap for men is 36 years. While life expectancy has improved, the world’s most disadvantaged communities are still far behind the developed world. Humanity faces major challenges to meeting agreed targets, such as restoring and safeguarding by 2020, ecosystems that provide essential services (including services related to water), and contribute to health, livelihoods and well-being, said Dr Corvalan. It will be hard to restore the devastation of the Bon Futuro forest in Rondonia Brazil [which has undergone major deforestation], he said. University of Sydney Professor of Planetary Health Tony Capon told the seminar developing nations are the most affected by environmental degradation, according to impact mapping developed by Jonathan Patz, associate professor of environmental studies and population health sciences at the University of Wisconsin-Madison. “Planetary health is a social justice issue,” Professor Capon said. “Those least responsible are already the most affected.” The areas of the world which had major industrial revolutions are responsible for the greatest part of environmental degradation, he said, but the places where people are dying most from climate change are in sub Saharan Africa and south Asia. “Countries like Australia and China are rapidly catching up in terms of our responsibility,” he said. “In countries like ours we ultimately need to make the transition from a highly consumptive economy – one that is pumped up by just getting people to spend more, to buy more to keep the economy going – to a circular economy with a strong focus on reuse, repair and recycle of resources.” Prosperity should be redefined to focus on quality of life and improved health for all, along with respect for the integrity of natural systems, he said. Because GDP is not an appropriate measure of progress, Professor Capon is contributing to work on the new Australian National Development Index, but Australia has a lot of catching up to do, with Wales having passed the Well-being of Future Generations (Wales) Act 2015, a world first law which requires decision makers to consider the impact of their policies. Professor Capon paid tribute to former PHAA president the late Tony McMichael for pioneering the understanding of links between environment and health. “Tony was of course the person who first sounded the alarm about the connections between climate change and health seminal book Planetary Overload [published in 1994].”* While human health has improved on most measures, there are questions about the inequities in who has benefited most and the cost to the planet, Professor Capon said. 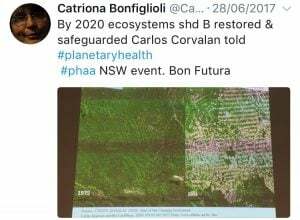 Planetary health is defined as the health of human civilisation and the state of natural systems on which it depends, but the link between human health and environmental wellbeing is not new, Professor Capon said, Indigenous peoples around the world have understood these relationships for centuries. Three out of four adults played outdoors more often than indoors when they were young, compared with only one in ten children today, she said. In the UK, prison inmates get more time outdoors than three quarters of British children. 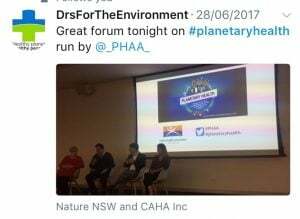 Tackling environmental impacts on health is a key focus for the new Climate and Health Alliance (CAHA), Professor Mary Chiarella told the seminar. CAHA is a coalition of forty health groups that has been advocating for Australia to have a national strategy on climate health and wellbeing with the slogan: Our climate, Our health. “Why do we need a national strategy on climate and health? Because it is the defining health issue of the 21st century,” Chiarella, a professor of nursing at the University of Sydney, said. “It’s an issue that we need all of the government departments to take up.” Key goals are to have a health in all policies approach, so decision making on transport, nutrition, education, planning, inter-generational equity, Indigenous rights, and reconciliation takes health into account. “Our proposal is to create a unique structure based on that of the ministerial drug and alcohol forum, to develop and implement a national strategy on climate, health and well-being for Australia,” she said. *Professor Tony McMichael’s final work was completed by Alistair Woodward and recently published in a book called: Climate Change and The Health of Nations: Famines Fevers and the Fate of Populations. 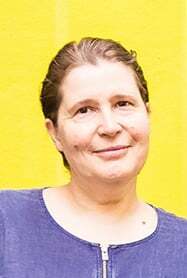 **Dr Catriona Bonfiglioli is a senior lecturer in media studies at the University of Technology Sydney. She has worked as a specialist medical journalist with AAP and Australian Doctor. Her PhD (Sydney) investigated Australian news media coverage of genetic technologies. Her research has been published in journals including BMC Public Health, Journal of Physical Activity & Health, Health Education Research, Australian and New Zealand Journal of Public Health, Australian Journalism Review, and the Health Promotion Journal of Australia. 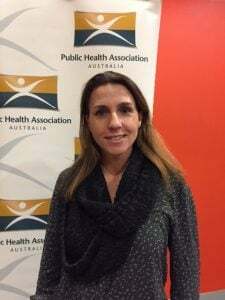 Catriona has been a member of the PHAA since 2000, serving on the NSW committee since 2001. She is currently researching the role of the media in health issues including obesity and inactivity.